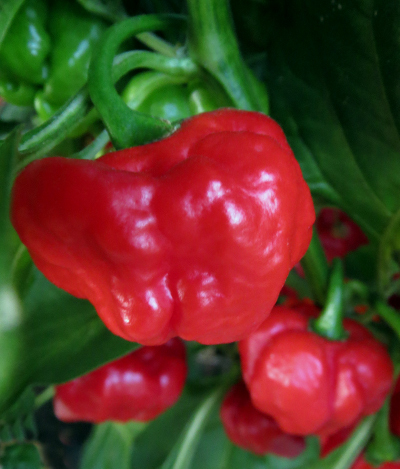 Short, compact plants carry a good crop of unusually mild sweet scotch bonnet chillies. 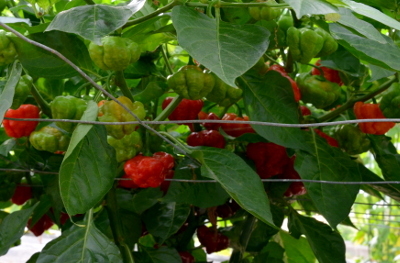 The chillies are carried under the branches so the quantity of fruit is not immediately apparent. 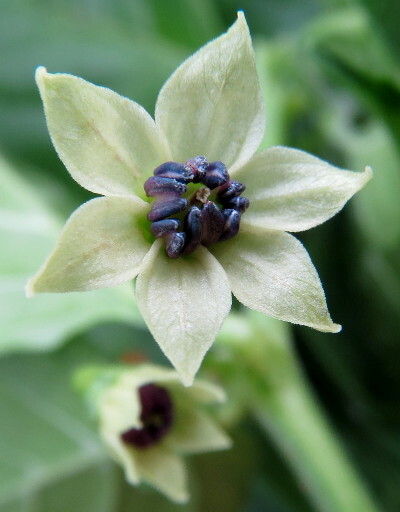 The sweet crisp chillies are very pleasant eaten raw, and can be chopped into a salad to give it a real kick. If less pungency is preferred, simply cut the chillies to exclude the ribs.